90-second spot features a wall blocking people from US employment. 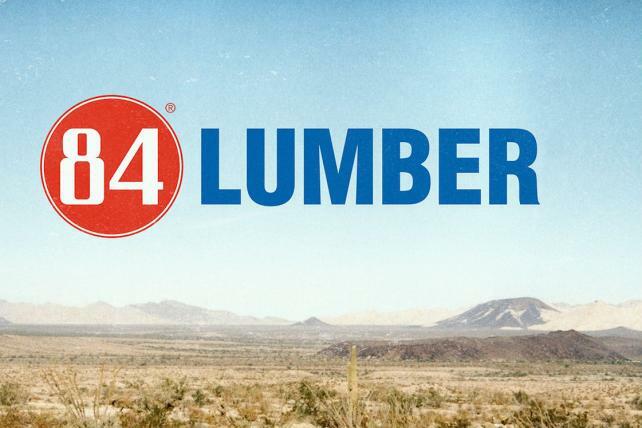 First-time Super Bowl advertiser 84 Lumber has hit a wall with Fox. The $2.86 billion building supplies company planned to air an ad that features a wall blocking people looking for work in the United States, but the script has been rejected by the network for being "too political," according to sources close to the project. The 90-second spot from Pittsburgh-based agency Brunner focuses on recruitment and includes images of immigrants unable to cross the border due to "the wall," a flashpoint of debate during the 2016 presidential election. "We’re still working through everything. There hasn’t been any sort of conclusion of what can and can’t go in," said Steve Radick, vp, director of public relations and content integration, at Brunner. But according to sources, director Cole Webley, who is on day three of a six-day shoot in Puebla, Mexico, is considering taking the wall out of the spot in order to appease Fox and directing football fans to the 84 Lumber website to watch the full film. 84 Lumber’s director of marketing, Amy Smiley, declined to comment on the creative or Fox’s decision. "We’ve got a great story to tell about our company in our 90 seconds and are exploring many different ways to do that," said Smiley, in an email statement. "That’s why we’ve been working closely both with Brunner and Fox on how to best take advantage of all the platforms we have available to us." Wall or no wall, 84 Lumber’s message is clear. The Super Bowl spot "is the launch pad into our recruitment campaign," Smiley said, in a phone interview last week. "We definitely are open to all walks of life. We want people to be aware of who we are and come to our website." Radick echoed her sentiments: "Degree, no degree—84 Lumber doesn’t care nearly as much about that as long as you’ve got the ‘roll up your sleeves and get the job done’ attitude. 84 Lumber will train them." Despite Fox’s script rejection, the family-owned, Pennsylvania-based company will still advertise in the Super Bowl. "Our industry is going through a period of extreme disruption. And I’ve always preferred to be the one doing the disrupting, rather than the one being disrupted. But to do that, we need to hire and train people differently," said Maggie Hardy Magerko, 84 Lumber’s owner and president, in a press release about the Super Bowl investment. "We need to cast a wider net, and to let the world know that 84 Lumber is a place for people who don’t always fit nicely into a box. We want people interested in creating their own path ... for themselves and for 84 Lumber." Fox Sports did not return requests for comment at press time. Can Super Bowl success still change careers like it used to?